Hastings Rare Metals (‘Hastings’, ASX: HAS) is noted for being one of the emerging rare metals plays with a strong potential to produce heavy rare earth oxides (HREO). Through its two REE projects, Hastings aims to become a leading global supplier of dysprosium. The Company is already developing the largest Dysprosium project in Australia (with HREO resources at 35% HREO/ TREO). Apart from Dysprosium, the Hastings project also distinguishes itself for having large and long term supplies (25 years) of Yttrium oxide, Niobium oxide and Zirconium oxide. Hastings has also been constantly searching – through acquisition and exploration – for additional tenements adjacent to its HREE project so as to gain additional leverage both in terms of exploration potential and infrastructure flexibility. This week, Hastings announced the identification of two new REE target areas at the Hastings Project in Western Australia after analyzing related radiometric data, which would enable it to complement the current resource. Hastings plans to explore the new targets to evaluate their potential to yield economically viable mineralization; favorable indicators would then lead to drilling. The two additional targets have been identified as ‘Northern’ and ‘Southern”. The targets come with historical data from soil samples indicating Niobium Oxide (Nb2O5) grades ranging from 0.07% to 0.16% and Yttrium Oxide at 0.06% over a continuous 240 metre wide zone. Hastings said previous explorers had ignored these rather “encouraging” results to focus on the main target. Indeed, the Southern Target was the object of even less exploration and a recent rock sample yielded 0.18% Nb2O5. 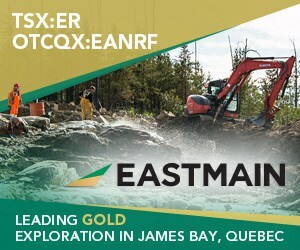 Shifting from geological to practical considerations, the new discoveries warrant additional exploration (given the limited yet favorable historical data) essentially expand the scope of the Hastings project, generating more opportunities to complement the already strong program, considered to have the fourth largest JORC heavy rare earth resource in the world. Nevertheless, the value of a rare earth project is only partly related to its resource, regardless of the quality of the mineralization. It is ever more important for REE explorers to have a viable processing plan in place well in advance. 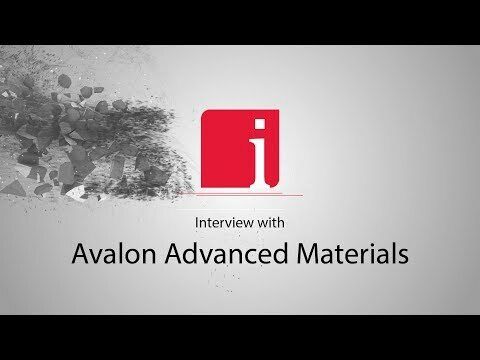 To this effect Hastings has been working with the Australian breakthrough Nuclear Science and Technology Organization (ANSTO) to optimize the purification of targeted minerals. ANSTO was able to separate Zircon (Zr), Niobium (Nb) and Hafnium (Hf) from the bake-leach fluid, or liquor, achieving an almost total rejection of major impurities. Similar results were obtained for Yttrium (Y). ANSTO’s very significant contribution has been to alter the chemistry in order to considerably extend the liquor’s stability, facilitating control of the process and the extraction of the value-added minerals. For Hastings, this translates to a strategic advantage because it will be able to produce separate REE streams, better matching the needs of individual customers, tailoring supply to demand. ANSTO has accumulated a vast experience with rare earth projects in validating the chemistry of REE resources, determining sulphation and water leaching parameters among other tests; ANSTO has also worked to improve solvent extraction methods for the recovery of such critical minerals as zirconium and niobium as well as rare earths via solvent extraction and selective stripping. Hastings has also pursued a strategic marketing effort, securing important industry and government contacts in Europe, especially Germany and France, by taking advantage of Australian trade missions to target the European market, now scrambling to secure reliable REE supplies to boost renewable energy technologies.